The United States enjoys two things more than just about anything else: doing war and making presidential doctrines about doing war. This country has been involved in some kind of military conflict or another for more than 90% of its existence, and of our 44 presidents, at least a quarter of them have issued some kind of doctrine or another that is noted as such today. That’s assuming you include the Roosevelt Corollary, which technically was Teddy’s revision of the Monroe Doctrine, but it was a pretty huge revision (from “nobody messes with the Western Hemisphere” to “we’re going to mess with the Western Hemisphere”), so I think it warrants its own entry. On the other hand, I’m not including the Polk Doctrine, which was just a restatement of the Monroe Doctrine, and anyway we’re getting into the weeds a bit, aren’t we? Since the Truman administration and the onset of the Cold War, it’s become sort of de rigueur for a president to have some kind of doctrine, initially about fighting the Cold War and then about who, what, and/or how to fight after the Cold War was over. Even presidents who haven’t explicitly articulated a doctrine generally get one attached to their names anyway. Only two presidents since Truman have missed out on having a doctrine named for them: Ford, which, come on, and Bush 41, whose administration produced a doctrine named for Colin Powell instead. People think Barack Obama had a doctrine, even though it was hard to get a good bead on exactly what it was. Donald Trump will probably get a doctrine, though it will have to be 280 characters in length at most. He looks like the kind of guy who would enjoy issuing a good doctrine, doesn’t he? Russia’s rulers have long sought to dominate the Middle East. That was true of the Czars and it is true of the Bolsheviks. The reasons are not hard to find. They do not affect Russia’s security, for no one plans to use the Middle East as a base for aggression against Russia. Never for a moment has the United States entertained such a thought. Never for a moment! And of course the Soviets could believe that, because we promised and everything. The action which I propose would have the following features. It would, first of all, authorize the United States to cooperate with and assist any nation or group of nations in the general area of the Middle East in the development of economic strength dedicated to the maintenance of national independence. It would, in the second place, authorize the Executive to undertake in the same region programs of military assistance and cooperation with any nation or group of nations which desires such aid. It would, in the third place, authorize such assistance and cooperation to include the employment of the armed forces of the United States to secure and protect the territorial integrity and political independence of such nations, requesting such aid, against overt armed aggression from any nation controlled by International Communism. It [the Middle East] contains about two thirds of the presently known oil deposits of the world and it normally supplies the petroleum needs of many nations of Europe, Asia and Africa. The nations of Europe are peculiarly dependent upon this supply, and this dependency relates to transportation as well as to production! This has been vividly demonstrated since the closing of the Suez Canal and some of the pipelines. Alternate ways of transportation and, indeed, alternate sources of power can, if necessary, be developed. But these cannot be considered as early prospects. Seriously though, it is kind of refreshing to see a US president articulate America’s real interest in the Middle East so plainly. This program will not solve all the problems of the Middle East. Then there are other factors which transcend the material. The Middle East is the birthplace of three great religions–Moslem, Christian and Hebrew. Mecca and Jerusalem are more than places on the map. They symbolize religions which teach that the spirit has supremacy over matter and that the individual has a dignity and rights of which no despotic government can rightfully deprive him. It would be intolerable if the holy places of the Middle East should be subjected to a rule that glorifies atheistic materialism. This is, needless to say, a bit different from standard Republican Party doctrine on the region today. The Eisenhower Doctrine’s impetus was the 1956 Suez Crisis, when Egyptian President Gamal Abdel Nasser nationalized the Suez Canal and Israel, Britain, and France invaded Egypt to try to seize the canal and oust Nasser. That invasion failed, in no small part because Eisenhower basically ordered Britain to knock it off, but the implications for American policy in the Middle East were considerable. First, Eisenhower and John Foster Dulles believed that Nasser’s “positive neutrality” in the Cold War played into Moscow’s hands (whether intentionally or not it didn’t matter) and that Soviet influence in Egypt was growing to uncomfortable levels (Nasser had become a Soviet arms client in 1955 and was negotiating a deal for the Soviets to finance the Aswan High Dam). Second, the embarrassment of Britain’s failure in the Suez Crisis and the way it was slapped down by Washington signaled quite clearly that its days as the preeminent Western power in the Middle East were way over, and Eisenhower and Dulles saw in Britain’s decline the creation of a regional power vacuum that the Soviets would fill if the US didn’t fill it first. The doctrine was intended to give countries looking for a Great Power patron an alternative to Moscow, and countries that opposed the Soviets an alternative to Nasserist neutrality (which, again, Eisenhower and Dulles believed worked to Soviet benefit). However, the doctrine’s impact on American Middle East policy has reverberated well into the present day, even though the Cold War is long behind us. For most of American history prior to the World Wars, the US had regarded the Middle East with a sort of benign distance, with the exception of the Barbary Wars, which were really pretty limited as “wars” go, and I guess the whole “Raisuli” affair. There were commercial ties between America and some countries in the region, but certainly no political ties or at least no attempts to establish American hegemony anywhere. And this actually made the US relatively popular in the Middle East–after World War I, for example, when it became clear that Arab independence wasn’t in the cards, some Syrian nationalists pleaded with the Wilson administration to assume the Syrian mandate instead of France, figuring that the US had no interest in playing hegemon and that Wilson’s talk about self-determination would work in their favor. Eisenhower’s doctrine changed this. * It announced that the US was now the dominant Western power (dominant power altogether, as it turned out) in the Middle East, and that it would feel free to intervene wherever, whenever, and however it believed necessary–initially to counter the Soviets, but clearly our involvement in the region didn’t end when the Soviets went away. 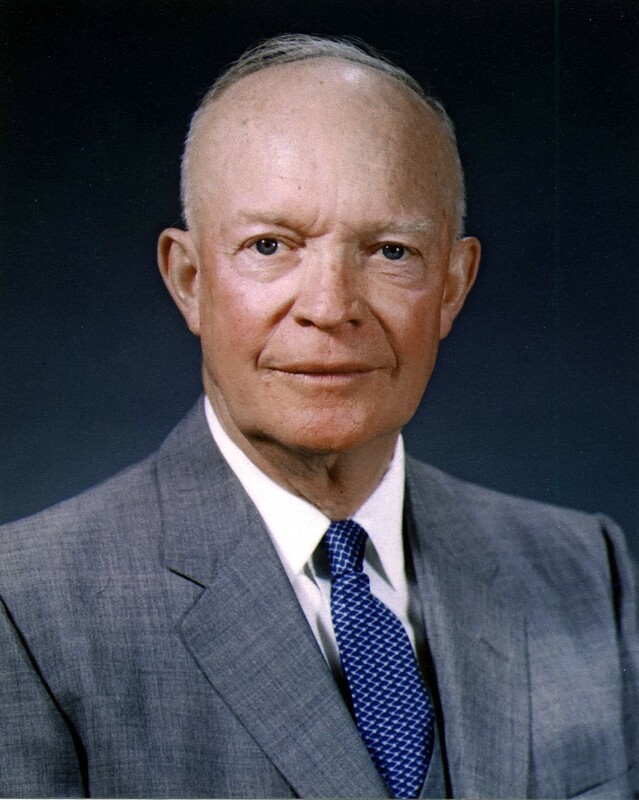 In fact we’ve been intervening in the Middle East ever since, and since nothing bad has ever come of that I guess we should thank Dwight Eisenhower for thinking up such a swell doctrine. * OK, yes, you could argue that the CIA’s involvement in the 1953 Iranian coup actually marked the real change in America’s Middle East policy toward interventionism, and you’d have a pretty good case, but the 1953 coup was a) still Eisenhower, b) very much about Oil, and c) was driven more by the UK than the US. So at best I think you can call 1953 a dry run for the Eisenhower Doctrine, and even at that the doctrine is quite explicitly about a new world where Britain’s role in the Middle East had changed considerably. Next Welcome to 2016: are generators pretty inexpensive these days?